Japanese soba noodles are hearty, which means they stand up well to this flavorful peanut sauce. The noodles are also delicious served cold or at room temperature, and this healthy Asian-inspired salad is perfect to bring on picnics or for a make-ahead lunch. 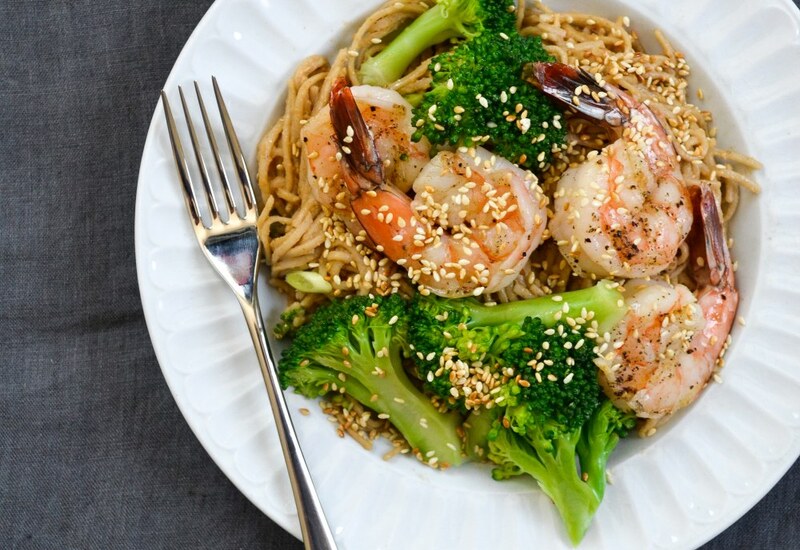 Blanched broccoli florets and quickly sautéed shrimp add fiber and protein, but if you like, you can swap them for other vegetables or proteins. The easy peanut sauce mixes peanut butter, soy sauce honey and chili paste and can be made ahead of time. Sprinkle with chopped peanuts or sesame seeds! Vegan or vegetarian? Skip the shrimp and add extra broccoli, or replace with pan-fried eggplant or tofu. If you're not a fan of seafood, try sautéed chicken. The noodles keep well in the refrigerator for up to three days. Serve cold or at room temperature. Per Serving: 638 calories; 36g fat; 40.9g carbohydrates; 45g protein; 239mg cholesterol; 2236mg sodium. This was another recipe that I substituted the peanut butter for almond butter. I topped this with quite a bit of shrimp so I can get that flavor in each bite. Had quite a bit leftover and it was still just as tasty the next day. I usually eat my soba cold, but warmed this one up and it tasted just as good. 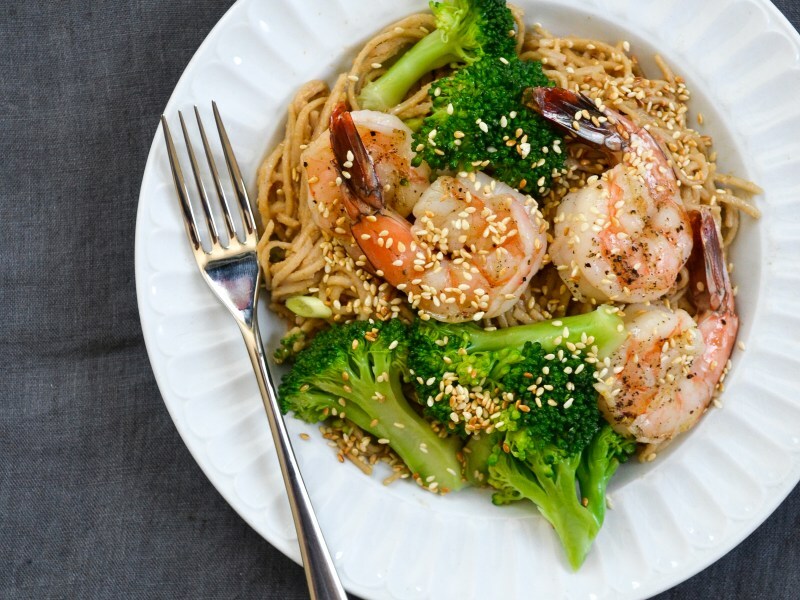 My boyfriend loves extra shrimp in his bowl when I make this recipe. The peanut butter sauce is my favorite! If you haven't tried soba, this is a good place to start. Delicious recipe! The peanut sauce was so tasty with a little kick to it. Not a vegetarian but skipped the shrimp and added extra broccoli and pan-fried eggplant. Delicious served at room temperature. Made this with tofu and it was really good. Used sriracha instead of chili paste, and it was nice and spicy. Great lunch dish.